These are the zombie cars. These are the cars that died ages ago, forgotten and unwanted by the American masses. They are the Chrysler Pacifica, the Dodge Magnum, the Pontiac Aztek, and the Chevy TrailBlazer. There are many more, but today it’s these cars that have caught our attention. Because they are back from the dead and living among us once more. The source of their surprise resurrection might be a little shocking. It’s not the original owners looking to experience the vehicles they let get away. No, this time it’s their kids. It’s the new generation, the group known as the millennials, who are snatching up these old dead cars and bringing them back to life. Automakers are desperate to get the youngest generation into their showrooms to test-drive their latest wares. To cater to the perceived needs of young people, car companies have integrated every conceivable piece of technology into new automobiles while designing them with a creative edge and pricing them competitively. As it turns out, millennials do indeed want good deals, but many are turning to yesterday’s cars to find them. Millennials are more practical used-car shoppers than we might otherwise credit them…. They may not go into the shopping process targeting these lesser-known vehicles, but when they see how their price tags stack up against other, better-known vehicles, they suddenly become a lot more attractive. 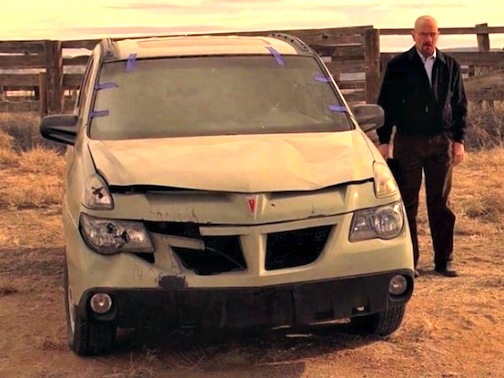 It’s the cars mentioned above that have the highest take rates among young people, with the infamous Aztek’s second life credited to its “Breaking Bad” fame. Here’s what’s really interesting, though: Those old cars have the technological aptitude of a grapefruit, while their new owners can’t remember a world without Siri. Those old cars have no Bluetooth, no USB connection, and no touchscreen interface. Some of them probably even lack power windows. How can tech-savvy kids live in a smart world while driving a dumb car? As it turns out, there are a couple of solutions for that. Verizon has a new device called Hum, which can turn these older cars into Internet-connected vehicles. Subscribers simply install hum through an onboard diagnostic (OBD) reader that is plugged into the vehicle’s OBD port, and a Bluetooth-enabled device that is clipped to the visor. The monthly subscription also includes a smartphone app allowing subscribers to monitor their vehicle health, contact help, and manage maintenance needs, even when they are not behind the wheel. The service costs $14.99 per month and is available to anyone. AT&T also has a device, called Mobley, which plugs into the OBD port on most 1996 and newer cars and uses a 4G LTE connection to create a Wi-Fi signal that’s on whenever the car is on. Unlike Hum, an AT&T service contract is required to use the device. With technology like this, any car can now be raised from the dead and thrive in this modern world. Would you want modern technology in your older car? This entry was posted in Car Accessories, Car Industry News, Car Minded, Car Shopping, Domestic Cars, General Chat, United States, Used Cars and tagged at&t mobley, breaking bad, pontiac aztek, technology older cars, used car shopping, verizon hum. Bookmark the permalink.